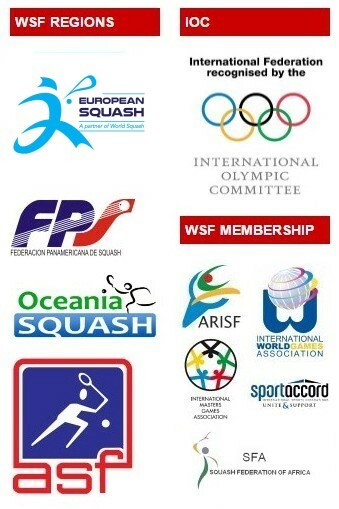 The top of the Dunlop PSA Men’s World Squash Rankings will feature a new look in January with the confirmation that England’s James Willstrop makes his debut as world number one in the first list of 2012, published on New Year’s Day by the Professional Squash Association. 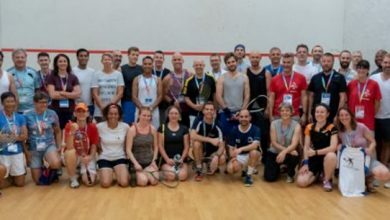 The 28-year-old from Leeds succeeds England team-mate and fellow Yorkshireman Nick Matthew, who has headed the world rankings since January 2011. 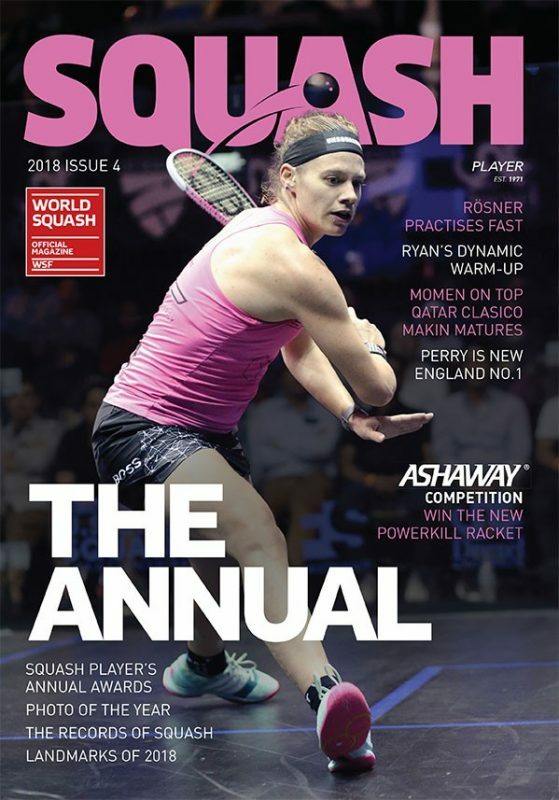 It was a stunning end-of-year run on the PSA World Tour that led Willstrop, who first reached world No2 six years ago, to overtake his great rival and become the 17th world No1 of all-time – and the fourth Englishman, following Matthew, fellow Yorkshireman Lee Beachill, and Peter Nicol. 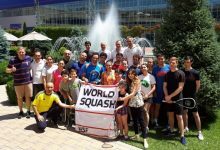 Willstrop completed the best four-week run of his career this month in India when he won the Punj Lloyd PSA Masters in New Delhi – immediately following World Series title triumphs at the Cathay Pacific Sun Hung Kai Financial Hong Kong Open and the Kuwait PSA Cup. “It’s been a tremendous week since India,” said the new world No1. 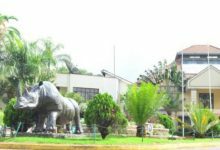 “It came at a good time as it gave me the opportunity to think about it, to celebrate it and enjoy it. “You work at this for a long time – you aim at the top but when it happens, it’s quite a lot to take in. I’m thrilled to have achieved it. 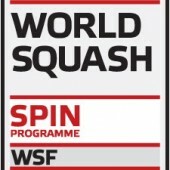 Willstrop competes in his first event as world number one next week at The Queen’s Club in London, where he is the top seed in the ATCO PSA World Series Finals – the flagship PSA event which features the eight players who have earned the most points from the nine PSA World Series championships in 2011. “Being introduced as ‘world number one’ at my first event next week in my home country will be very special – I can’t pretend otherwise,” added Willstrop. 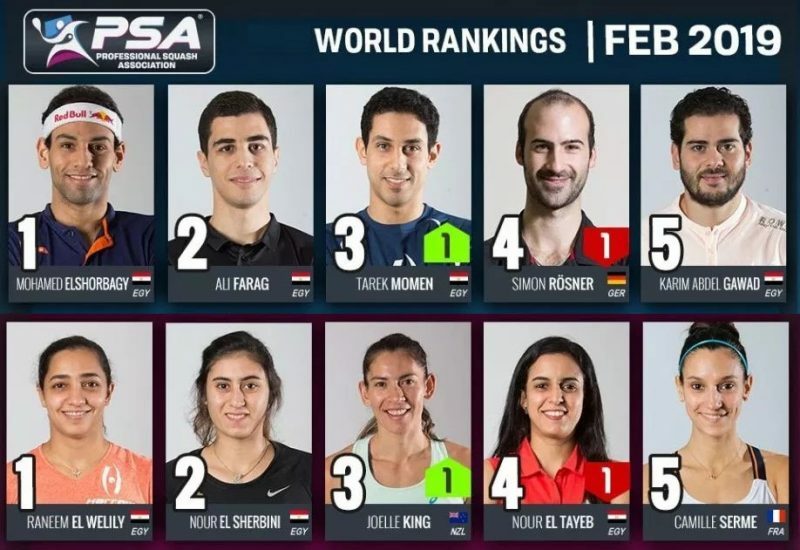 Matthew is at two in the January rankings, ahead of Frenchman Gregory Gaultier at No3, and a trio of Egyptians Ramy Ashour, Karim Darwish and Mohamed El Shorbagy. 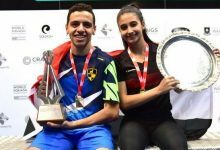 El Shorbagy, winner of the Macau Open in November, went on to reach successive World Series semi-finals in both the Kuwait PSA Cup and PSA Masters – and is celebrating a career-high No6 ranking in the new list. 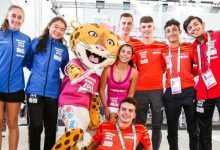 Dutchman Laurens Jan Anjema and Malaysian Mohd Azlan Iskandar have both moved up to career-high-equalling positions of 9 and 10, respectively. 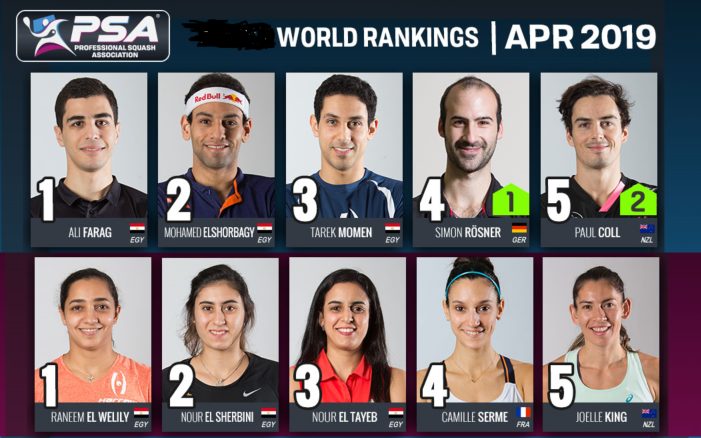 But also in the list are Egyptian Tarek Momen, who moves up two places to a best-ever No18, and two top 20 debutantsSimon Rosner and Tom Richards. Rosner leaps an impressive five places to take up 19th place – thus becoming Germany’s first top 20 player for more than 16 years. 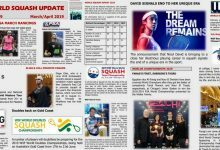 The five-time German champion achieved last 16 finishes in the last two World Series events of the year, and at the Kuwait PSA Cup claimed one of the best scalps of his career when he beat Egypt’s Amr Shabana in straight games. Richards leads the next wave of top England players and made his senior international debut in 2011. 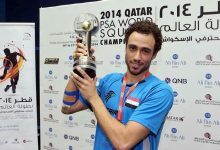 The 25-year-old from Surrey made the second round of the PSA Masters after upsetting Egypt’s Hisham Mohamed Ashour.